Growing concern is reported by DEBKAfile’s military sources in Israel’s government and IDF command that Iran is planning to instigate coordinated escalations of violence on its northern and southern fronts. In the last few hours, statements from both Tehran and Damascus indicate that Iran has decided on a powerful response to the Israeli air and ground missile strikes on Monday, Jan. 21 against its facilities in and south of Damascus. Officials in Tehran are saying that the Fatteh-110 ground missile launched against the Israeli Hermon north of the Golan – and shot down – was an inadequate a response to those assaults and Israel deserved harsher punishment. The Syria’s UN ambassador reflected this spirit on Wednesday, when he warned Israel that Ben Gurion international airport would be targeted for any further IDF strikes at Damascus airport. This was taken in Israel as a Syrian-Iranian threat to start aiming Iranian surface missiles against a strategic target. It is also estimated that Tehran is bent on ramping up war tensions additionally around the Gaza Strip in order to force the IDF to divide its efforts between two fronts. 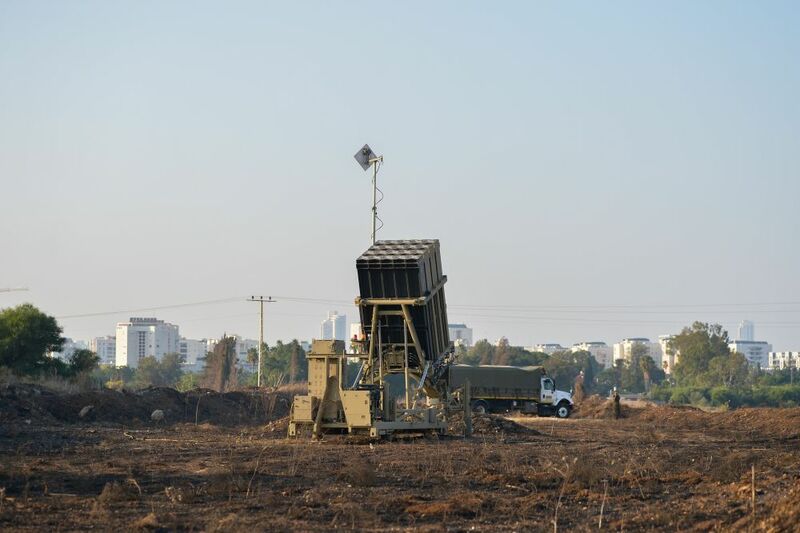 Therefore, on Thursday, the IDF deployed Iron Dome anti-missile batteries in the Greater Tel Aviv area of central Israel and extra batteries north of the Gaza Strip at Ashdod. The IDF later announced the mobilization of reserves for operating the air defense system. The Philistine will be smitten hip and thigh. Isreal will send the Iranians back home with their pants on fire. The Iranians are being set up for a trap and they will fall deep into it. They have asked for it and they will soon receive it. That will be the end of them for a good while. Remember Israel fights her battles using bible strategies and the wisdom of God. The Iranians are being tricked by the wrong party and will be deceived as usual. Isreal knows she will defeat her unruly neighbor as she has done in the past. God owns the land and the Jewish people are the caretakers until Jesus arrives on the Mount of Olives. The squatter state will be take on the Persian empire once it finishes off these kids flying kites and balloons, the medics, and every semitic grandmother not carrying a weapon. Then look out! The army that can’t stop bottle rockets is coming right for you! Iranian leaders, your days of rule are numbered. The State of Iran should take this into account: This time some of the world is on Israel’s side. 1) The Saudis and Gulf states would like to see your a&&es cremated. 2) The USA is still strongly present in the region and Trump is definitely willing to help. 3) Russia is not a reliable partner and ally to your Iranian conquest and will likely trip you up were push come to shove. 4) Your people at home hate your f&*ing guts and think your barbaric rule should be ended because you take away their bread and offer them hate and oppression. 5) Your religious extremism is running into roadblocks and the G-d we follow in the West (not the same vile monster you interpret to be yours) will kick your a&&es from Damascus back to Tehran! Rather than focus on the fascist LOSERS and racist european squatters, Debka pretends that Iran is the all powerful reason for the antisemitic colony’s floundering. Stop shooting old semitic women in the face! The Stolen Golan False Flag gave pretext to (yet another) sneak attack, against Syria, by ISISrael’s carpet-bombers, in violation of 1701. 2006 resolution begged for by the antisemitic squatters after Hizbollah bashed their faces in. Protected by benefactors like Uncle Sam & Mbs, the beggars violate it daily. Weaker than a spider’s web??? That is not true. Spider silk is one of the strongest substances known to Man. The carpet-bombers will be charcoal before arriving. Then what? Attack Persia! LAUGHABLE!! Hizbollah bashed in the squatter army 5 inches into Lebanon. Meanwhile, the fascist dictator cries endlessly about BOTTLE ROCKETS. Mossad can censor all it wants: one sneak attack, 50 years ago, does not a formidable army make. If not for Uncle Sam’s welfare checks, it’s a spent force. Where ever US went they had to leave. They have not won in Iraq, In Syria they are hiding behind the Kurd and in Afghanistan after 10 years they are trying to make a deal with Taliban in Qatar. Obviously yo have been sleeping all these times. You will be dead soon. Time to plan the party to celebrate. mollahs are very idiots . going to war against israel means iran will break apart . all the minorities they oppres will become independants. the map of region will change. mollahs think they will fight iraq ,rebels syrians or their minorities. thta is where they mistake . but the punishment they take will be horrible. their russians protector knows something about so that face to idf russia prefer to barke. Mullahs are idiots but it is Israeli who are attacking Syria and unarmed Palestinian children and civilians. They are doomed if they carry on with their aggression. Once US dollar is dropped from international market US won’t be able to bankroll the Israeli Nazi. They better make peace while the going is good. ‘I was a Jewish H—–ite – I was a voting citizen of the Israeli Kahanist regime. How do you explain that to your kids, your grandkids, anyone? How do you own THAT? I piggie just found itself inside of me, and it was a delightful experience. Climax of my life, so far.